Summer sun does more than merely burn your skin. 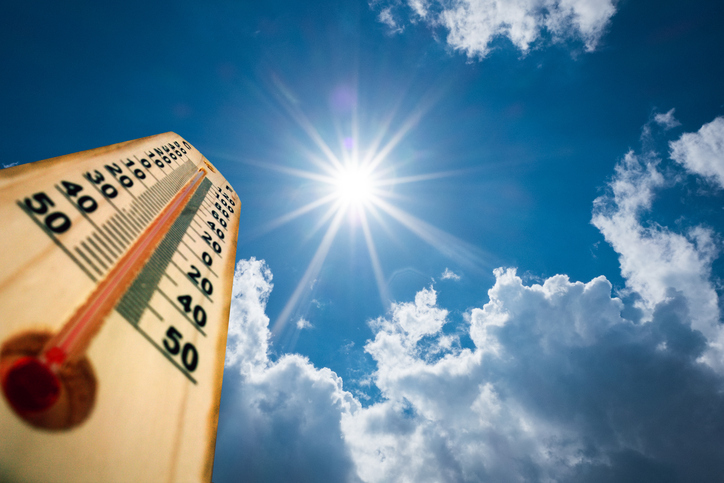 Heat, humidity, and intense sun rays can damage your home’s features. Here are some ways to protect them. To make sure you get the most out of your exterior paint, choose a top quality brand that will better withstand fading over time. Depending on how much sun you want on your home, you can also plant a tree border to throw shade on your space during the sunniest parts of the day, therefore adding life to your paint job. The roof often absorbs the brunt of the sun’s rays, and can be the first to show sun damage. While there is not much you can do to avoid this, you can stay on top of the damage by monitoring your roof closely each season, and replacing any shingles or patches that become cracked or discolored. One of the top ways to protect your deck from the summer heat, especially if your deck is made of wood, is by properly sealing it with a high quality, weatherproof, UV resistant sealer. This can stave off fading and warping. You may also want to consider a retractable deck awning, which you can pull over your space during the sunniest, most damaging part of the midday heat. Make sure your windows are properly caulked and sealed to prevent heat from slipping inside. You may also want to consider shade awnings to prevent heat from penetrating, which can also cut down on your cooling costs.